A massive recall by some of the largest name brand auto manufacturers in the world is due to faulty airbag inflators. Our Boston defective product attorneys understand that the issue is specifically with the front passenger airbags, where the bag has the potential to deploy with too much pressure. If that happens, the inflator casing could burst, which could result in debris being spewed at the passenger and subsequently result in a serious injury. Additionally, both BMW and General Motors are planning to issue similar recalls in the near future. The majority of the vehicles being recalled are from model years 2001 through 2003. Although none of the automakers have reported any serious injuries or deaths resulting from this defect, that doesn’t mean they didn’t happen – or won’t in the future. The fact is, accidents happen at lightning speed. If a person is injured in a wreck, their first thought may not be to question the high pressure deployment of the airbag. Honda did report that it was aware of one incident in which the casing of an airbag exploded after it had been activated under high pressure. However, that incident did not result in a serious injury. This very same problem was responsible for a series of previous Honda recalls that started back in 2008, though those involved problems with the driver’s side airbags. Meanwhile, Toyota – king of recalls in recent years, with 5.3 million vehicles recalled last year in the U.S. alone – said it has noted five reports of malfunctioning airbags in recent years. However, there have been no major injuries reported as a result, at least according to the company. Earlier this year, Toyota had issued another airbag recall due to inadvertent deployment, which could cause serious injury in the event of a crash. Although this latest recall is sizable, it’s not the biggest in the auto industry. Just last October, Toyota recalled nearly 7.5 million vehicle worldwide because of a power window issue that had the potential to result in a fire. And in 2009-2010, the company recalled some 8 million vehicles across the globe due to a problem with accelerator pedals that stuck. For this recall, the automakers say they will be contacting owners if their vehicle is affected. However, you can’t always rely on it. If you want to check whether your vehicle is on the recall list, you can visit Safecar.gov. 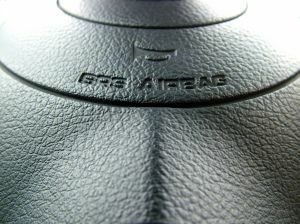 The airbag manufacturer believed to be responsible for the defect is a Japanese supplier called Takata Corp.